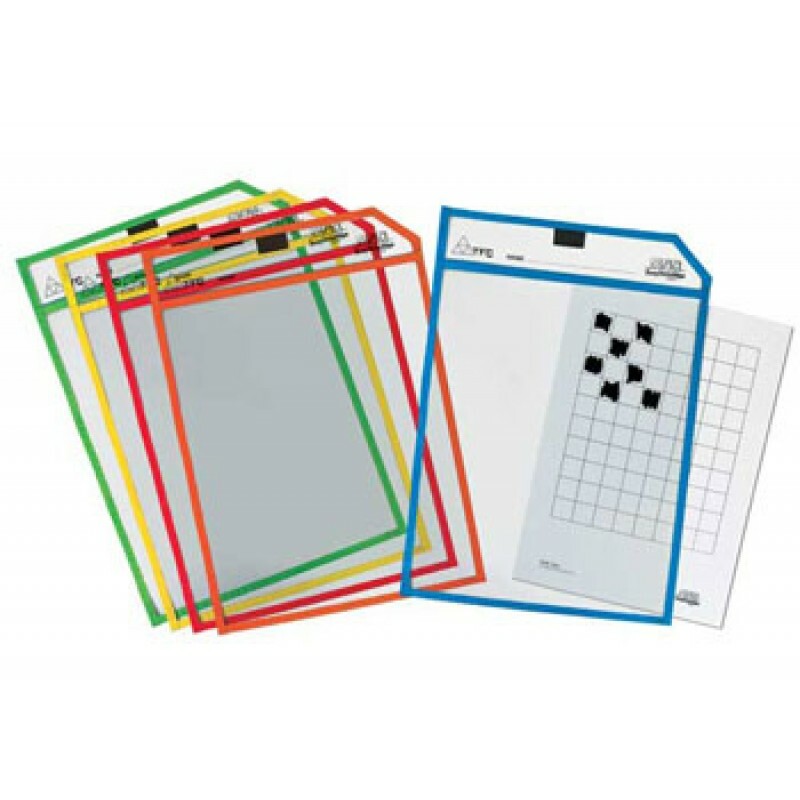 Write on / Wipe off sleeves that work as overlays for your printed worksheets or activity page. Thus making sliding your work sheets in and out easy and without scrunching or tearing. Use these write on/wipe off sleeves with any subject where black line masters are required. There is a stretchable loop at the top to keep marker in place. Especially useful and effective if you need to keep the originals intact, or cannot re-produce them due to copyright issues. or simply to let your students enjoy doing an overlay. Every classroom should have this.